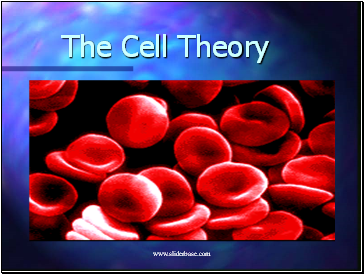 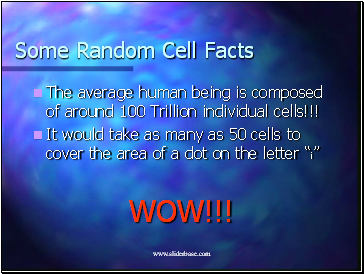 The average human being is composed of around 100 Trillion individual cells!!! 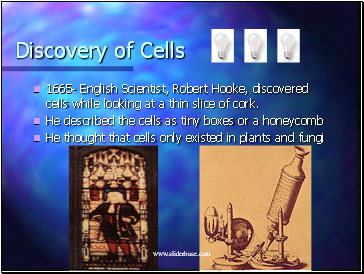 1665- English Scientist, Robert Hooke, discovered cells while looking at a thin slice of cork. 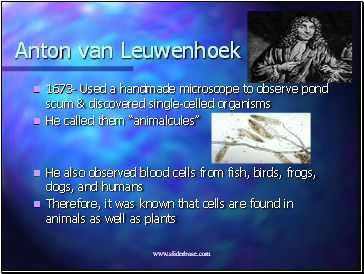 Between the Hooke/Leuwenhoek discoveries and the mid 19th century, very little cell advancements were made. 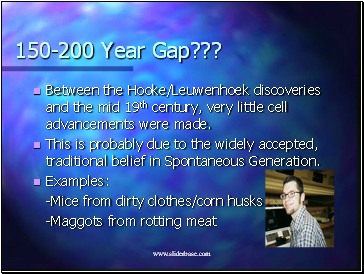 This is probably due to the widely accepted, traditional belief in Spontaneous Generation. 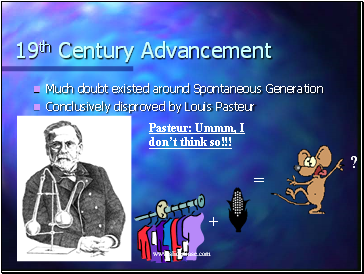 Pasteur: Ummm, I don’t think so!!! 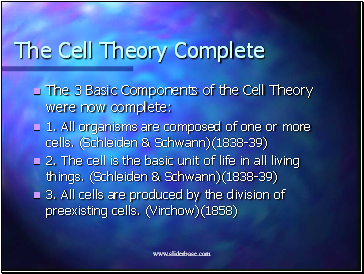 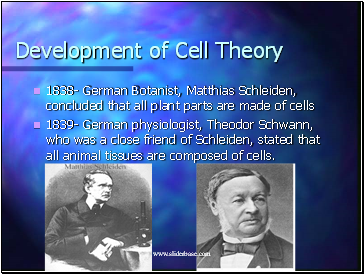 1839- German physiologist, Theodor Schwann, who was a close friend of Schleiden, stated that all animal tissues are composed of cells. 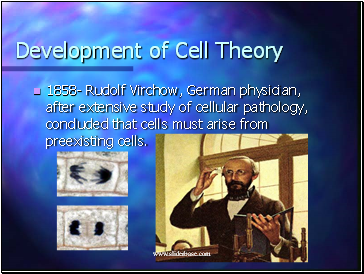 1858- Rudolf Virchow, German physician, after extensive study of cellular pathology, concluded that cells must arise from preexisting cells.